Paddy Bushe’s latest collection of poems (due April 2016) explores, among other things, the balance between creative freedom and the artist’s responsibility to engage. Paddy Bushe’s latest collection of poems opens with a stirring suite on music and art, seeing them not as rarefied experiences but as fundamental and nourishing encounters for both their makers and their audience. The distinction between here and elsewhere is blurred, and the playing of an Irish piper seems echoed by that of other musicians in far-flung parts where the poet’s enthusiasm for travel and hill-walking takes him. The transition from such open, light-filled spaces to the more uncertain areas of Irish political life makes perfect sense in Bushe’s work, the poet’s freedom bringing with it a responsibility to engage. And Bushe’s defence of a local arts centre is lifted far above what might have been a parochial dispute into a passionate argument for access to the arts beyond favouritism or political interference. On a Turning Wing contains some of Bushe’s finest sketches of the natural world, as well as touching lyrics on the birth of a grandchild and the joy and consolation of companionship and love. Willing her just a few more weeks of grace. Paddy Bushe was born in Dublin in 1948 and now lives in Waterville, Co. Kerry. 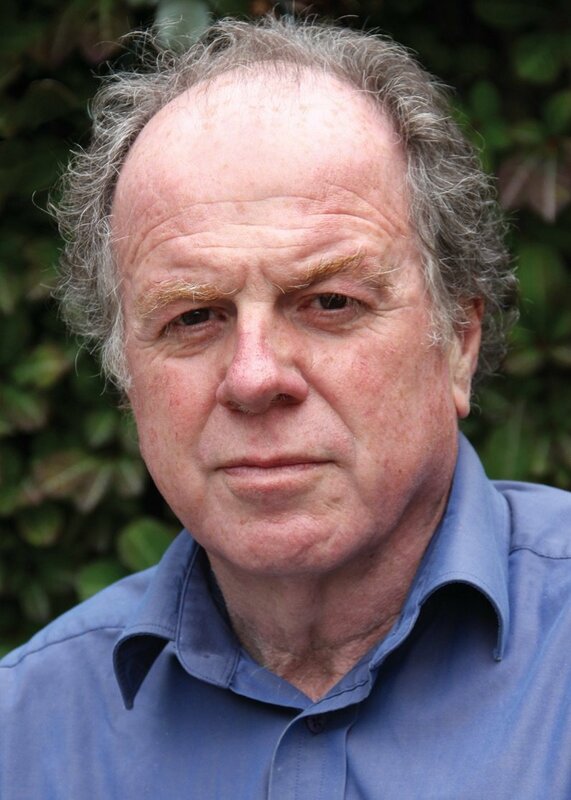 A prize-winning poet in Irish and in English, his collections include Poems With Amergin (1989), Teanga (1990), Counsellor (1991), Digging Towards The Light (1994), In Ainneoin na gCloch (2001), Hopkins on Skellig Michael (2001) and The Nitpicking of Cranes (2004). To Ring in Silence: New and Selected Poems was published in 2008. He edited the anthology Voices at the World’s Edge: Irish Poets on Skellig Michael (Dedalus, 2010). His latest collection is My Lord Buddha of Carraig Eanna (Spring, 2012). The recipient of the Oireachtas prize for poetry in 2006, he also received the 2006 Michael Hartnett Poetry Award. He is a member of Aosdána.